Time estimation is pretty much the ability to say accurately how much time you’d need to complete a project, or to do a given task in particular. It is a big part of project management. Many people wing it and allocate some time for some tasks, making the best guess they could. In other words, they guesstimate their time. While it may be a good approach for a starting freelancer who has not yet figured out completely their work process, productivity levels or efficiency, it is never too early to purposefully start paying attention to time patterns in your work. 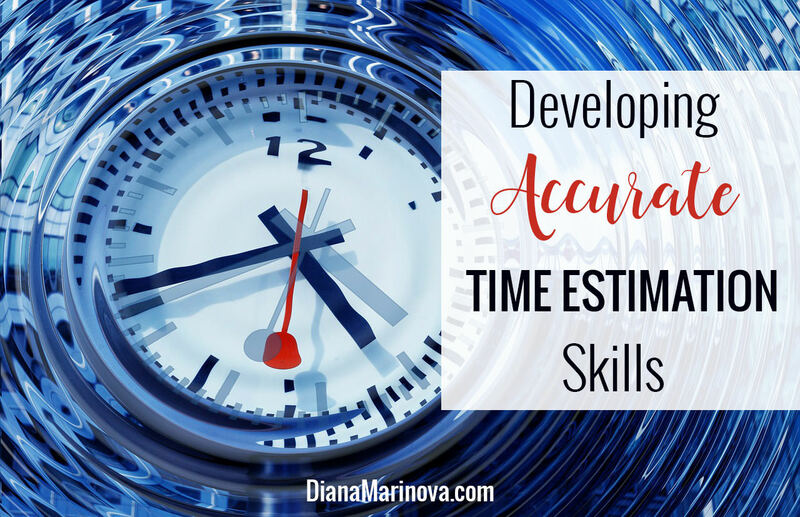 There are many reasons to develop accurate time estimation skills, but here are my top three, which are highly relevant specifically to your freelance career. #1 – Estimating time accurately helps you set realistic deadlines and keep them. One of the most important parts of any project to a client is getting it completed on time, right? When you can accurately estimate time, you are able to give realistic deadlines. This in turn would enable you to submit work on time and thus, keep your reputation intact and your clients – happy. Here’s what happens when you lack time estimation skills. Once I worked with a brilliant designer. He was a true artist but he was really bad at estimating the time he needed to complete the project. He promised to send me a mockup three days after the beginning of the contract but he failed to do that. He kept on postponing, because “it turned out the task is more complex than anticipated”, he said. It took him 10 days and 3 email reminders from me to send it over. I won’t even get into the details how many more emails and delays it took him to actually complete the project. Yes, his work was amazing, but is it worth the wasted time and stress over missed deadlines? After all, his design was part of a bigger project and everything got delayed because he didn’t do his job on time. Even though his work was amazing, I wouldn’t work with him again, nor will I recommend him, because he is not reliable. This illustrates how poor time estimation can lead to giving an unrealistic deadline and ruining an otherwise promising client-freelancer relationship. #2 – Accurate time estimation helps you manage your time and workload efficiently. When you know how much time a task takes, it will be easier for you to plan your day or work week. 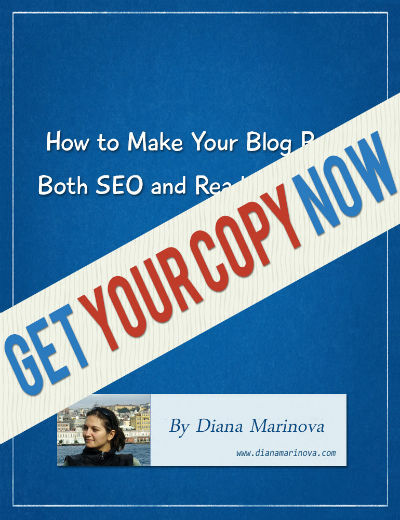 Say you need to write a blog post and it takes you usually 30 min. to write the backbone of it. Then you need two hours to complete the first draft, and about an hour more to edit and prepare for publishing. When you know this you can easily set aside 30 min. to draft the structure of your post today, then two hours to complete the first draft tomorrow, and one more hour to edit and prepare for publishing the next day. Add those time slots to your calendar and you will instantly know what other time slots you still have available on each day. You can set a deadline with the client in three days and know precisely how much more work you can take during those three days. You are always confident that you have enough time for everything. #3 – Accurate time estimation allows you to improve your pricing strategies. If you work on fixed-price jobs, you should know there’s no need to reinvent the wheel every time you send a price quote to a prospective client. Chances are you do pretty much the same things for clients. Let me give a few examples. If you create content for a living, you probably write similar content items every day – be it blog posts, magazine articles, long-form posts, ebooks, white papers, emails, and whatnot. Do you know how much time it usually takes to write a 500-word blog post on a topic you are an expert in? What about the same type of content but in a niche you are not familiar with? (Right, you should factor in more research). 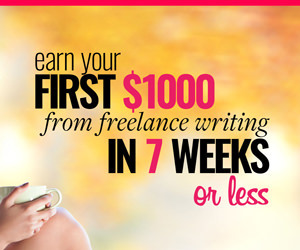 How about a well-researched magazine article with interviews, or a press release, or a 10K-word ebook? Hey, what about editing your first draft or accommodating change requests from the client? Whatever you are writing, you can easily check your records and base your time estimation on that. If you are a marketer, think back – how much time it takes you to do an audience profile or to write a marketing plan? Do you usually need a call with the client to get all the needed details about the business, target audience, goals? Is it a one-hour call, a two-hour call or a series of calls? How many? Email marketing strategy planning? Autoresponders series outline? To accurately estimate your time, you need to know what tasks any given project would involve and then – how much time each of those tasks would take. If you are a designer – how much time do you need to come up with a logo? What about a website mock-up? Business cards design? Print posters? Do you spend time with the client to discuss design concepts before you start designing? How much time do you usually spend on editing the first version of the design based on clients’ feedback? Again, based on the project specifics, you need to outline the steps you’d take and factor in all the time you’d need for each of them. Your pricing strategy will depend on your ability to accurately estimate the time you need for each task to complete the project, and on time. If you cannot estimate time accurately, chances are sometimes you will work for far less money than you’d anticipate. I don’t think there is one unique and 100% correct way to develop time estimation skills. After all, we are all different, work differently, think differently and thus – develop skills differently. Nevertheless, here are three tactics that I have used through the years to develop my time estimation skills. And I’ve got to tell you – every time I set on to do a task and look up at the clock after finishing, it has almost always taken exactly as much time as I have anticipated 😉 All achieved with the below three tactics. I use Toggl. I have another blog post planned to explain how exactly I use it to improve my time management and estimating skills, but for now, I’ll just say this. I use Toggl to track everything I do on the computer (work related or else), and I plan to start using it for some offline activities like sports, reading, going out, etc. Thanks to tracking my time with Toggl, I kicked the habit of wasting loads of time on Facebook. I also see patterns in how I spend my time in various activities and I am able to better organize my calendar. Furthermore, when I track my time with Toggl, I can effectively see how much time each task takes me to complete. This way, I can benchmark and use the data when planning my work days and weeks, and when sending a proposal to a prospective client (price quote and turnaround time included). Remember how I told you needn‘t reinvent the wheel each time you send a price quote? For that to work, you need to take notes diligently in a file. I have named my file “time estimation” and I record there all kind of details relating to my work. Since the work I do is mostly the same type of work, I have organized the file in a few sections that cover all I do – email marketing, social media marketing, content marketing, product development, strategy and tactics planning, writing assignments, website analysis, SEO, research. When I venture into a new direction, I add a section accordingly. I add details each time I do something for the first time. Every time I do the same type of work, I revisit the “time estimation” file and tweak the details, if needed. If I have gotten quicker or slower, I make a note – did the niche cause the delay or the less time needed? Did I need to do more research due to lack of audience profile? Something else? If I discover a new factor that impacts the time needed – I make a note. E.g. number of campaigns, frequency of emails, email marketing tool used, etc. I apply the same principle to all the sections in my “time estimation” file. If you choose to employ this tactic, be sure to record as many details as possible, especially in the beginning when you are just starting out. This way, you will be sure that all the details are there and you won’t miss a pattern only because you failed to include a detail, which you deemed irrelevant at the time. Add the specifics of your profession, work and past experience, and you will narrow down the details you need to record in order to develop a good sense of estimating the time needed for certain tasks. One more thing – record here all the work you do for your clients but also, when you experiment doing something for yourself or for a friend who is not officially a client. No matter if you’re getting paid or not, work related tasks tend to take the same time regardless. Keep track. Don’t just track your time or pile notes in a file. Make the habit to look back and analyze them to see how you are doing and how you improve – e.g. a task used to take you 10 hours and now it takes you just an hour. This would enable you to give ball-park figures when negotiating with clients and to know what deadlines you can commit to, when to charge premium for quick turnaround because you do have the ability to do the job super quick (thanks to your experience), and so on. For example, when I started working with Constant Contact for the first time, it was a pain. Their website is always super slow, no matter how good my internet connection is. I found their interface confusing. How to mention how annoying it is to test Constant Contact in outlook. It used to take me nearly 5 hours only to create an email in the platform, even though it was already written and I knew what brand elements to include, in what sections, etc. Now, a couple of years later, I know the tricks it plays on me when it’s not cooperating, and I am quick in solving problems. It would take me one to two hours to create the email from scratch, or less than 30 min. if I am using a saved template with brand elements and sections. Some progress, huh? Now I know my value with this particular email marketing tool and that I have a real advantage in the eyes of prospects if I am competing against freelancers who have never used Constant Contact in their life. This also helps me commit to shorter deadlines and charge top dollar for my experience. Developing accurate time estimation skills is an ongoing process. As time passes and your experience grows, you may not even have to look at your file to give a price quote or time estimation to a prospective client about a certain type of project. Nevertheless, you won’t get there overnight. It is a process and as everything else, practice makes perfect. Track your time, record details in your “time estimation” file, revisit it frequently to spot patterns and analyze data, and you’ll be in good shape to plan your time better AND to calculate your flat rates better. Good article Diana. When one is new to freelancing, it is difficult to estimate time. Initially I did the guestimate! After a while you start to get a sense of how long it takes to do certain things. I also use Toggl – although admittedly I often forget to use it! But it is a great tool if you remember to use it! ? Ha-ha, it is a good tool if you remember to use it, a good one 😉 And yes, guesstimating might be good in the beginning, but if one goes through their entire freelance career guesstimating their way, they might be in for a rough (and not quite profitable) ride. Diana — great post and sorely needed. Too many freelancers, in my view, price their services too low. They want to get the assignment so they take it without knowing exactly how much time they’ll need to complete it. I’ve never used a tool like Toggl but wish I had when I first went out on my own. Even if it is a fixed-price contract it all comes down to how many hours you need to complete it. Not a good idea to take on a fixed-priced assignment that you know, based on past experience, is impossible to do for the money based on your hourly rate. I agree, Jeannette – not to mention taking up an urgent assignment for a dead-short turnaround time, which you literally, physically cannot complete on time. I have seen it happen and it is all due to inaccurate (or non-existing) time estimation skills. Great blog! Many would benefit from reading this. I overestimate rather than underestimate how long I will take to complete a task/project. You cannot lose if you have extra time at the end of a project but will lose the confidence of clients if you fail to deliver on time. I fight the tendency to raise the hopes of customers/clients. It is far better to surprise someone with an earlier deadline. It seems you’ve gotten the hang of the whole time estimating matter, Phoenicia, way to go!